I graduated from OVS last year, and I am now a lowly freshman at the University of Missouri. I wrote for this blog frequently during my three years as a writer for On the Hill, and thought it would be a good outlet for me to share my firsthand experience of the recent protests at the University of Missouri. Alvarez — I better get a 10/10 on this! Before I start, I should give you a little background about me. I’ve grown up in what I guess are fairly liberal communities mostly around California and Colorado, where racism was an idea and never something I actually witnessed. I think a part of me didn’t even believe it existed until I came to school here. I’m white, and have never had any personal experience as a target of racism, and it is unlikely that I ever will. And while I was not at the center of the recent protests here at Mizzou, I have witnessed some of the events leading up to and surrounding the protests. I recognize that there are countless opinions about everything that has transpired, and my opinion is just one of those. First, let me say that racism does exist at Mizzou. I have friends who have been called the N-word, and who track every pickup truck that drives by them at night. People have driven around campus with the confederate flag proudly displayed in the bed of their truck, and the N-word isn’t a rarity. 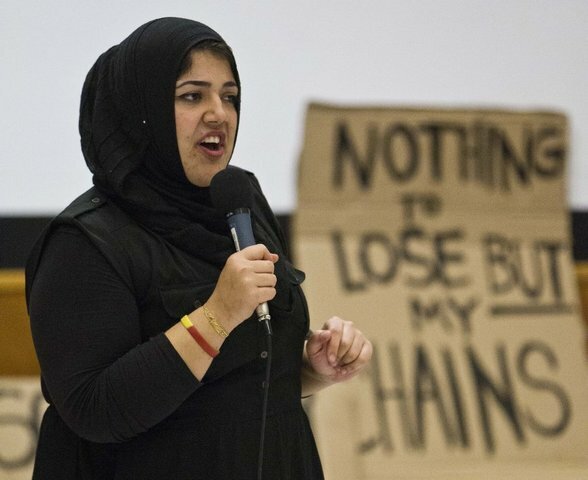 I think racism is embedded here at the university, it has been since the very beginning – though that it just my personal opinion. Missouri was a slave state, and there are buildings on this campus that were built by slaves. The majority of the buildings are named after white males, with very few exceptions. And though our recently resigned Chancellor, R. Bowen Loftin, declared that racism has no place here, I agree with Payton Head that it does, and that it is quite comfortable. The Mizzou Hunger Strike arose from years of experiencing the divide between students, and from the administration failing to address the issues. Personally, I think it culminated during the homecoming parade in October when the president of the UM System, Tim Wolfe, was in a car where his driver revved the engine and nudged some of the protestors that had blocked the road. Wolfe, rather than issuing an apology for the incident, chose to ignore it and didn’t apologize until earlier this month as the protests really began in earnest. But as they started, Concerned Student 1950 made it clear that the reasons they were going to these lengths and demanding change is because they love Mizzou and want it to be the best place it can be. To accomplish that, Jonathan Butler, a graduate student here at Mizzou, went on a Hunger Strike about two weeks ago, declaring that he would not eat until Tim Wolfe resigned from his position. What shocked me was that this went on for EIGHT days, and that although Wolfe stated he was concerned for Butler’s health, he did absolutely nothing to ensure the health and safety of one of his students. In fact, it wasn’t until members of the football team declared they wouldn’t play until Wolfe stepped down, which resulted in the entire team following suit, that Wolfe resigned. That was almost a week after the Hunger Strike began. An article by the New York Times summed it up perfectly: “The Missouri athletes showed that the color that matters most is green.” But as an educator, I would have expected Wolfe to be more concerned about the wellbeing of one of his students than his position. I went to Carnahan Quad a little after Tim Wolfe announced his resignation, and I was blown away by the movement. The emotions that were present that day were overwhelming, and everyone who cared even a little bit about equality on this campus was swept up in it. I was choked up, and I wasn’t even in the middle of it. 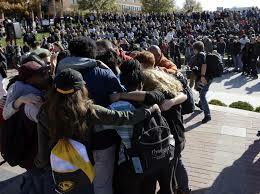 It was truly a beautiful thing to witness, this first step on a long road to making Mizzou a racism-free campus. The fact that students were able to make such a huge impact and evoke so much change is incredible. And I got to witness that history being made. That Tuesday night, death threats were made to blacks on campus, and someone posted on Yik Yak the same thing the Oregon shooter posted before the shooting. It was scary, especially as rumors began to take over social media about the KKK being on campus and bricks being thrown through dorm windows. I think a lot of those rumors were born out of a lack of information – for hours, the students got absolutely no information about what was going, whether the threats were being investigated and if they were real or not.The only statements we got from the university were that security had been increased and there were no credible threats. But then the next morning the man who posted the threats was arrested. Pretty much no one went to class on Wednesday – that is if their classes hadn’t been cancelled. It’s been just over a week since then, and now we’re just about to leave for Thanksgiving break. But the movement hasn’t ended, and Tim Wolfe stepping down was just the first step. 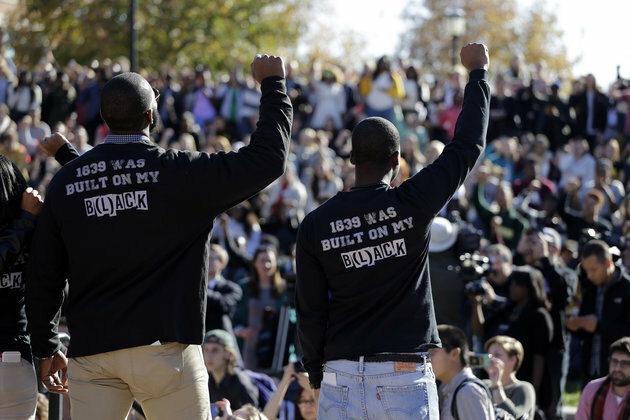 The protests have continued, and not just at Mizzou. Over 100 schools have shown their support for the movement, joining in on the chants, stating that “we have nothing to lose but our chains.” And other schools, including Yale, Ithaca, and Chapman University have begun demanding change at their own universities. Mr. Alvarez asked me that if I had known this was going to happen, or if it had happened a year ago while I was still choosing where to go to school, if I still would have chosen to attend Mizzou. I honestly don’t know the answer to that question. I definitely didn’t realize when I chose this school how prevalent racism was. But in the end, I chose my school because of the journalism program, which is one of the best in the world. I’m glad I did choose to come here though, because I do love this school, and everything that has happened hasn’t taken away from that. I’m proud to have been a part of something that I believe in and that has sparked a nationwide movement. 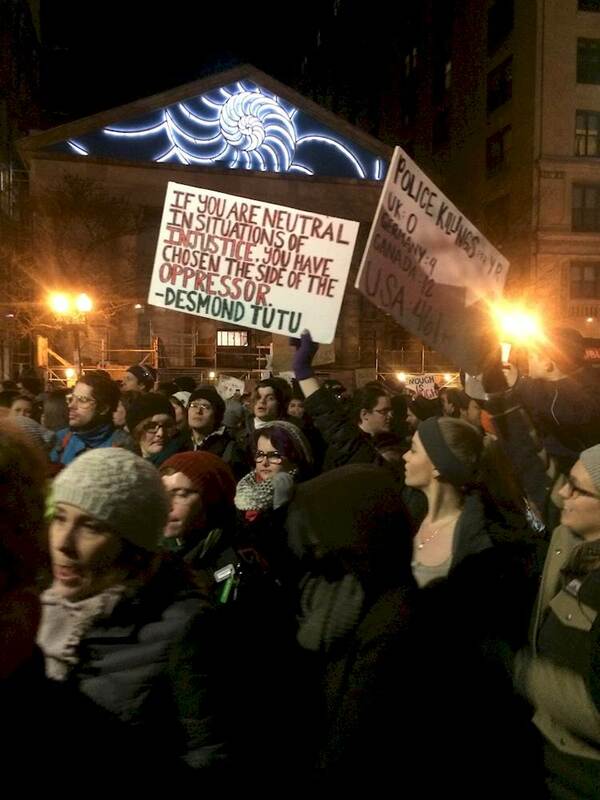 I had the opportunity to witness something beautiful and empowering; to witness students fighting for what is right. Change needed to happen, and so students took the initiative to make sure that it did. I couldn’t be prouder of my school. As the school year comes to an end, OVS is taking part in one last community effort. Relay for Life of the Ojai Valley is less than a month away. The event will take place on May 31, and the campus is abuzz with fundraising efforts. OVS has many cancer survivors amongst its faculty and within the families of the students. Last year, the school managed to raise about $10,000 because of this. For a school of about 100 students, this is a remarkable achievement. So far, we have exceeded our goal of $1000 by $700. The students continue to join the effort of fundraising cancer research. When the day of the event is finally here, we will have students, faculty, and family members walking for 24 hours. For such an important event, OVS is throwing their all into it. Though we are a small school, we can make a valiant effort. To help our effort, or join our team, click here. For the past year I’ve laughed at everyone who watched Game of Thrones. I didn’t think much of the series, just that it seemed a little ridiculous. That was, of course, until Friday night, when I watched the first episode with a friend of mine. Four days later, I’m almost done with the third season. The show is filled with never-ending suspense and action. It’s an intriguing mix of a make-believe world and our own history of lords and ladies, kings and queens, and even slavery. The show is just a tad gory however. For someone who doesn’t like blood, it’s kind of gross. But overall, I think the show is fantastic. It’s that time of year again. Prom is in two days, and everybody is getting ready for it. 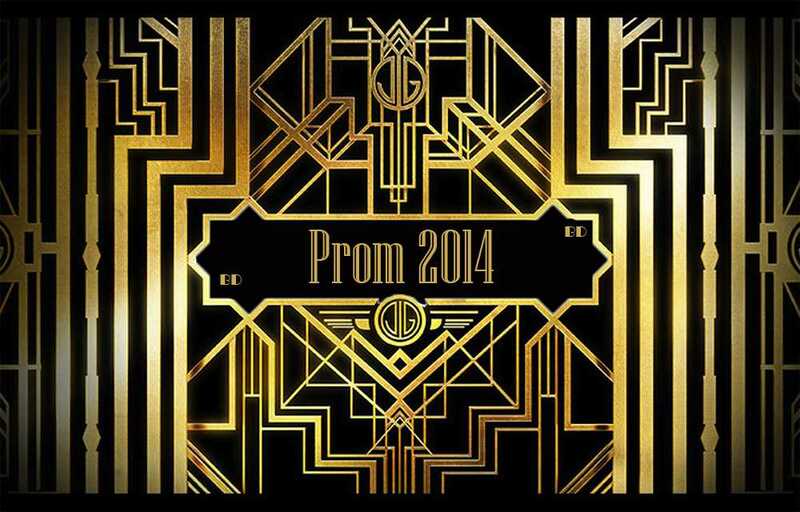 Prom is one of those school events that everyone says they aren’t excited for, but in reality are actually stoked. This year, it was my class, the junior class, that was responsible for putting it on for the seniors. We separated into four groups. One for decorations, one for the prom court, one for music, and one for the gift to the seniors. I was in the decorations committee, and we chose to go with the theme of The Great Gatsby. We’ve been working hard to decide what the centerpieces on the table should be, where everything should go, what the cool theme is, what decorations to put around the room, and what to do with the dance floor. It’s all finally coming together, just in time for Thursday night. Hopefully everyone likes it. After that, we head off to spring break, which I think everyone at school is more than ready for. I’m at the end of my junior year, and along with all the other juniors in my school, I have begun the process of applying to college. Every time I talk to someone, and they find out I am a junior, they ask me if I know where I want to go to school. The truth is, I have no clue. I have ideas, but how are you supposed to determine the atmosphere of a school from a website? College seems like such a daunting prospect to me. I hear stories of people doing nothing but partying, but that’s not the type of environment I want to be in. I want to have fun. I want to make friends. I want to have an internship. I want to learn about my major. I am at an advantage, I think, because of my experience at boarding school. I am already fairly independent, and I am not afraid to be away from home. And so begins the process of essays and filling out information, traveling to visit schools, and deciding where to spend the next four years of my life. Almost every junior and senior goes through this process. I just hope I am able to pick the right school for me. For the past three years, I have signed up to go on the Honors Ski Trip. Every year it’s just as much fun, if not more. We start the week on Monday with a six-hour van ride from school to Yosemite. As awful as that seems, the drive really isn’t that bad. On Tuesday, we normally go skiing. This year, we did a seven mile loop. It’s safe to say that towards the end of the ski I was seriously considering sitting down and not getting back up. Nordic Skiing, if you’ve never tried it, is way harder than you think. On Wednesday, we set off on what was supposed to be a hike of a little more than a mile long. We ended up hiking three and a half miles of what felt like vertical switchbacks. Basically, we scaled a mountain. Five days later, my calves are still just a little bit sore. On Thursday, we went on another hike, which was really more of a walk as everyone was so tired from the day before. We did however lose the trail, and wound up bushwhacking through the redwood forest for a little bit. On Friday, we packed back up and set off on the six-hour van ride back to school. Upon arriving and unpacking the vans, I’m pretty sure everyone just about crashed. Although there wasn’t as much skiing this trip due to the weather as there has been in years past, it was still really fun. For me, the trip isn’t about the skiing or the hiking. It’s about the time we spend together in the cabins, hot tubbing and playing inappropriate or Chinese card games. We all laugh and have fun. We hang out with people we normally wouldn’t when at school. It’s not a trip you have to go on with your best friends — you can go by yourself and it will still be just as much fun. As some of you may know, on March 21st Shailene Woodley is starring in a new film called Divergent. The movie is based on of a book much like The Hunger Games. Only it’s better; at least in my opinion. While The Hunger Games was definitely amazing, and the allusions to ancient culture were especially remarkable, the book was not quite as good as Divergent. 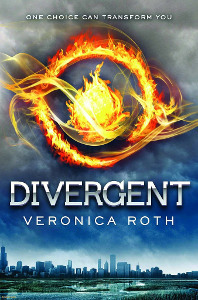 Divergent follows the story of a girl who chooses the bravery faction, and follows her throughout her initiation. However, she’s not just a normal person choosing to change factions. She’s divergent, meaning that she could fit into the majority of the factions, and that the system can’t control her. What ensues is a suspenseful story of an innocent girl learning how to fight and use her head while doing so, venturing into her first romantic encounter, and recognizing the flaws of her society. The book ends as the rebellion kicks off with a bang, but unlike The Hunger Games, the next two books are just as good as the first. I can not wait for the movie to come out.